Keeping track of your finances is a great habit. It gives you an idea of how many comes and goes on a daily, weekly, or monthly basis. In this article, we will give you an idea of what you can use to track your money and keep your budget intact. 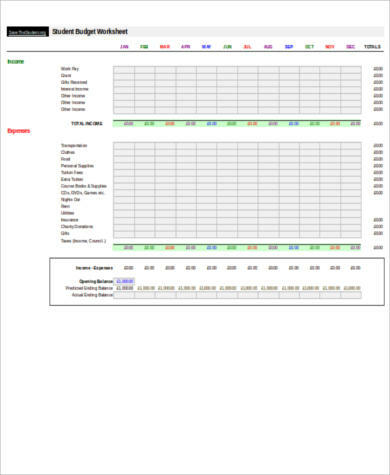 We have eight Budget Spreadsheet Samples featured in this article to serve as your tool for making sure you know how your money comes and goes. These spreadsheets help you document how much money you earn and how much to allocate for the essential expenses that are needed. Just browse through the samples below and pick one that you would love to work with. A budget is simply a listing of what you need to spend on and what you need to spend less on. You can choose to do it either on a daily, weekly, or monthly basis. How you want to lay it down or list down your budget, it all depends on your preference. Keeping track of your finances can help keep your spending in check. You can determine which ones are important expenditures and which ones are resources that might be wasteful. 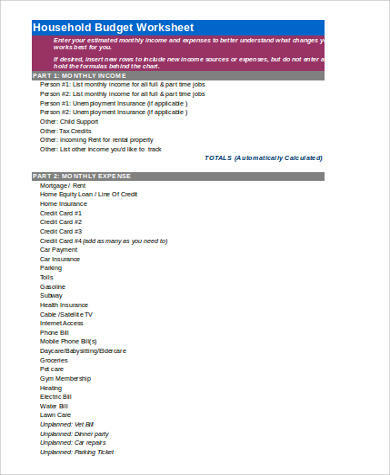 You can easily determine if you need to adjust your expenses. You can make long-term goals for your finances. You can invest in mutual funds or invest your extra cash in the stock market. You can set aside money for emergencies. You will be able to determine if you are saving enough money or if you are running low on cash. Keeping a budget and financial plan may seem like it’s too much to handle. You can definitely go at your own pace and take it slow. Sooner or later, you will get the hang of it and it will become a habit. 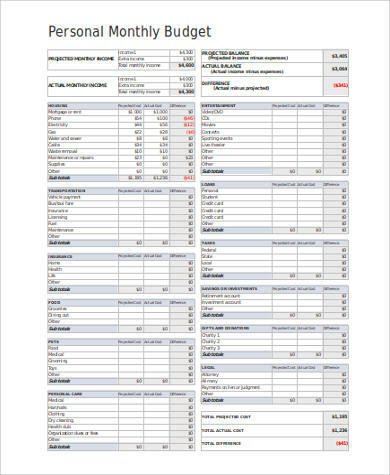 You can also check out some of our Sample Monthly Budget Sheets. A budget helps you properly allocate the accurate amount of money to pay the most important expenses that one might have like your utility bills and rent. You will also be able to save up extra money that you can use for vacations and emergencies. Budgeting does not come as an easy task though. 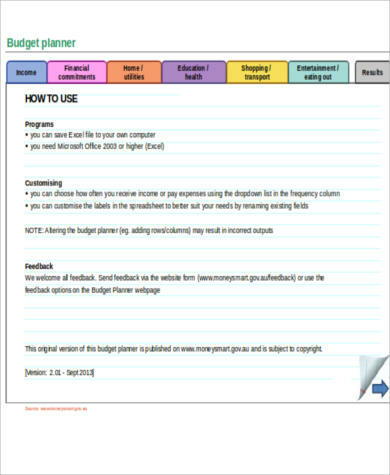 Creating the budget plan itself can be very easy, especially with the help of the templates available in this article. The most difficult part about budgeting is being able to stick to the budget that you have made. Why Use Sample Excel Budget Spreadsheets? 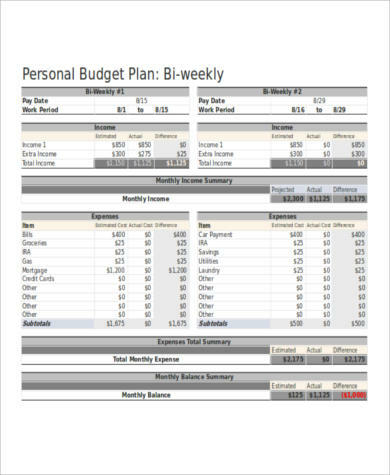 The reason why you need to use the budget worksheets available in this article is to ensure that you are able to create a realistic budget plan both for your short-term and long-term financial goals. The templates help you reach your goals easily. You might think that budgeting might be so difficult because of the possible limits you might have to do with your money. While it is true that there are restrictions, it is part of being able to make your budget plan an effective one. 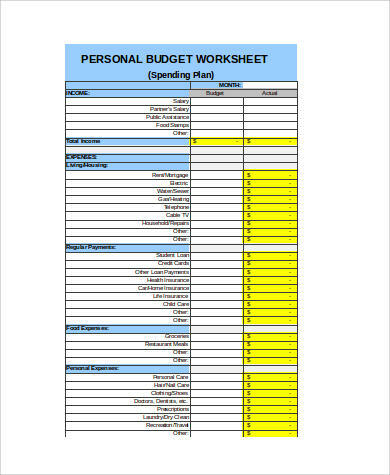 You can easily download your preferred budget worksheet easily from this article. Just click on the Download button. Once you already have it on your device, you can customize it the way you want it to and easily fill out the necessary fields and you are off to a great start with your budget. 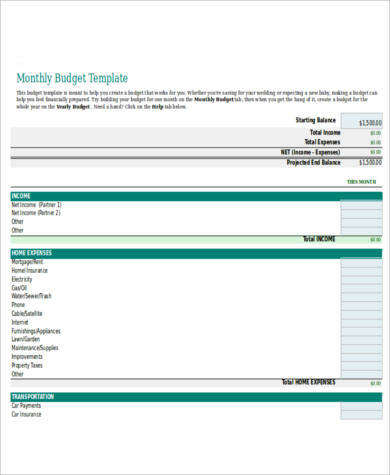 You can also check out other budget templates at Sample Budget Spreadsheets.